FOH engineer for the Beach Boys, Mark Newman, talks about 4X Audio providing sound reinforcement at a Thunder Valley Casino concert: "One of the best shows we've done with a regional in years, sound-wise, was in a casino parking lot. There were 5,000 people there, and it was XXXX (pronounced Four-X) Audio Systems in Sacramento, California. The PA sounded phenomenal - it was VerTecs just tuned properly; I did minimal EQ. When I got my hands on the board, it was a dream to mix on." 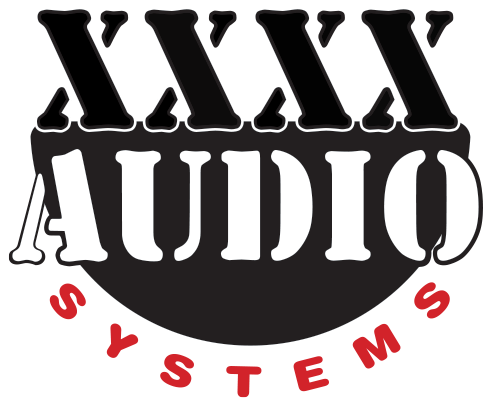 FOH Magazine Announces XXXX AUDIO SYSTEMS as the Winner of the Northwest 2011 Hometown Hero Sound Company Competition! 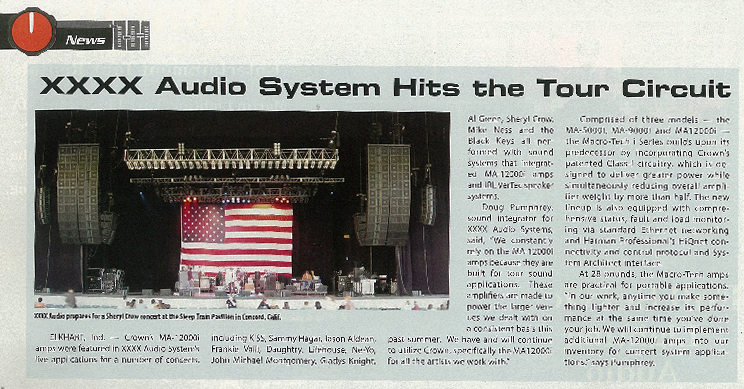 From "Making It Happen" in July 2003 FOH Magazine! "Wango Tango, which featured 17 acts ranging from KISS to Nelly, Santana to Jennifer Love Hewitt, took place in May at the expansive Rose Bowl in Pasadena, Calif. The venue's sheer size contributed to the teaming up of Sacramento-based XXXX Audio and Orange County-based Flag Systems…"
"The VERTEC system is so clean and distortion-free, it can develop a higher SPL than you realize. No problem getting enough level. 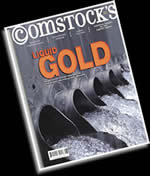 We have a great deal of headroom here; and we need to have plenty of level for this show!" 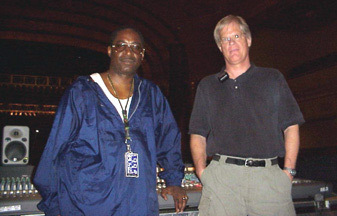 FOH Soundmixer for Prince's "Hit and Run Tour", regarding XXXX Audio Systems' VerTec rig at Sacramento Memorial Auditorium May 6, 2001. "The venue worked well Saturday. The music was loud, but clear, both in the reserved seats and the grassy lawns…"
Regarding June 10 Stone Temple Pilots rock concert at the new Sacramento Valley Amphitheatre. "The XXXX guys have been real smooth to work with and everything's there, this rig looks and sounds clean, they are definitely on top of it." From the JBL HLA website, "Sacramento's XXXX Audio Fields New JBL HLA System for California State Fair"